Our school vacates today and will reopen on 11th September 2012. The Headmaster, teachers and some of the students and I went on an educational tour in nearby villages, talking to parents about their girls. Please, one thing we request from you with humility, that you help us with furniture in the JSS. Next academic term we’ll have JSS2 and JSS3. Thank you very much. We wish you all the best in your work. Please, our regards to GSA and all the family. This school was founded as a private venture by Patience Agbeti, in a gesture of goodwill to the village (Bethel-Awudome) where her late sister was cared for. 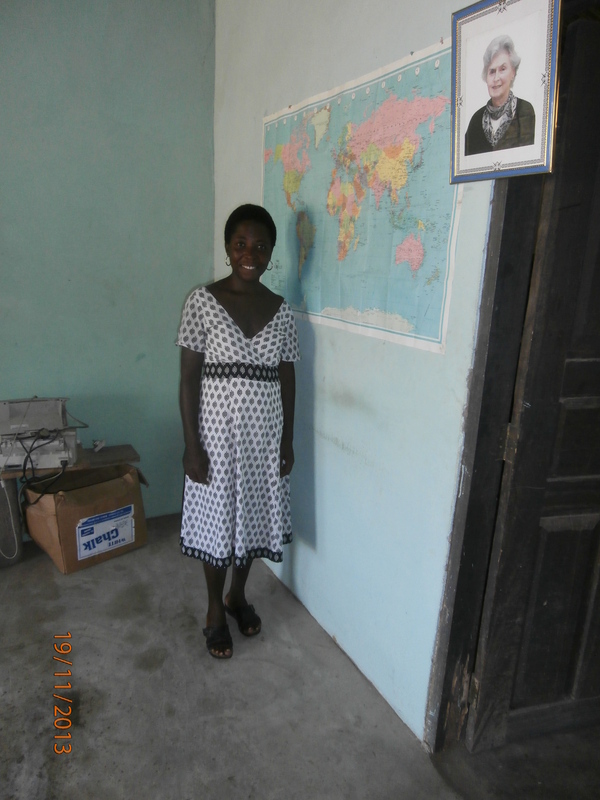 Patience receives some funding from a church in the USA, but just keeping afloat is a real struggle. She employs 11 student teachers. 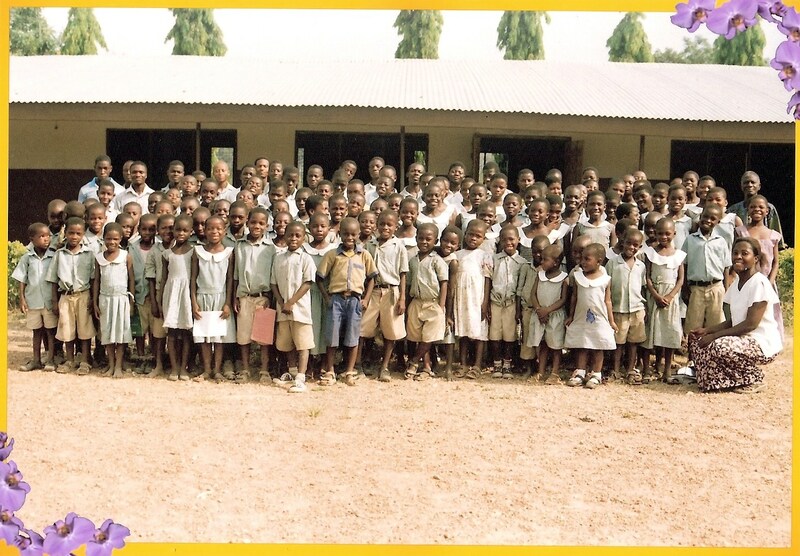 They teach 140 children whose parents also struggle to pay the fees. 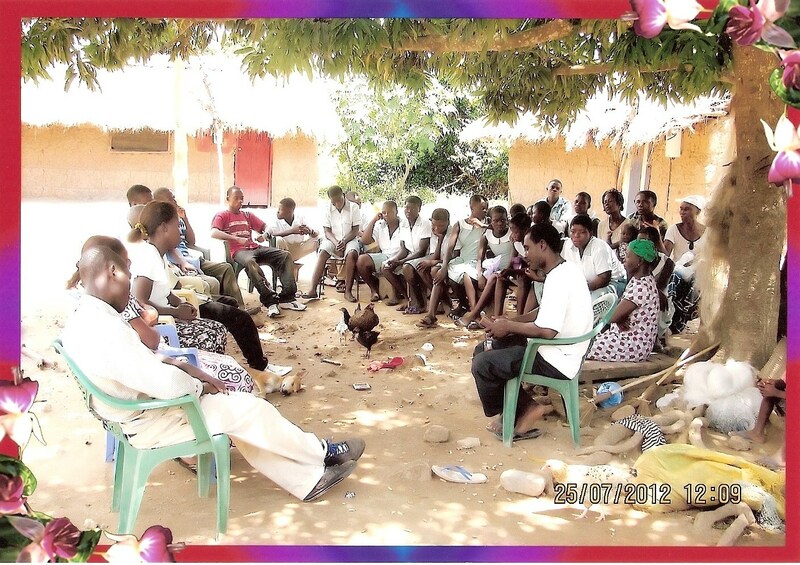 The children sit the normal school leaving examinations. Patience chose the name “Cambridge-Bethel” in order that people should associate the excellence of Cambridge with her school. Funds were sent in 2012 both from Ghana School Aid and the J.Bedu Memorial Fund to enable her to complete her Junior High School block. This she has done, and thus relieved overcrowding in existing classrooms which had been subdivided. 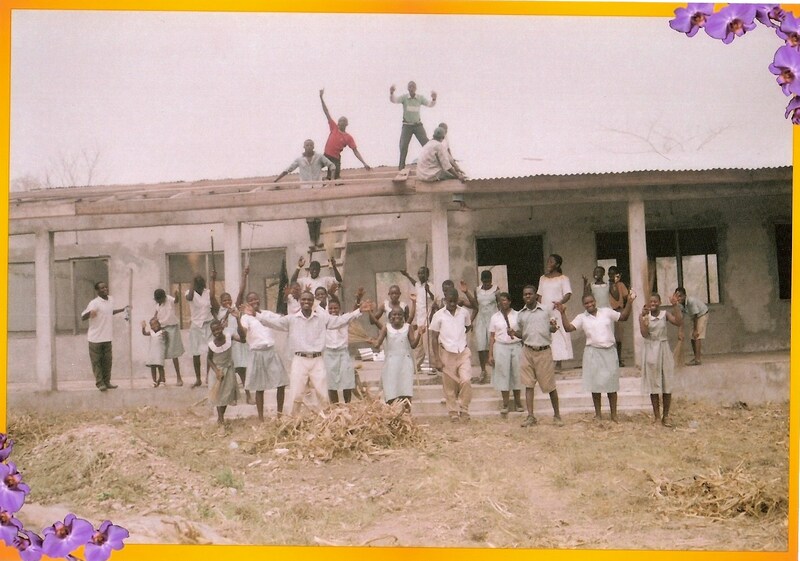 The pictures show a school photo, with Patience on the extreme right, and work in progress on the classroom block. Pupils who live far away from the school stay in a hostel made available by the owner. It is very basic, with one room for the girls and one for the boys and most children sleeping on mats on the floor. The boarders look after themselves: they do their own cooking and hygiene, and the very young ones are cared for by the older ones. This is an education in itself. They are doing well, and Patience valiantly supplies constant emotional and practical support. A building housing two new classrooms had been built away from the Primary building, and the grant received via GSA of £4000 in memory of Pamela Lewis is bieng used, as intended, to complete the third classroom. 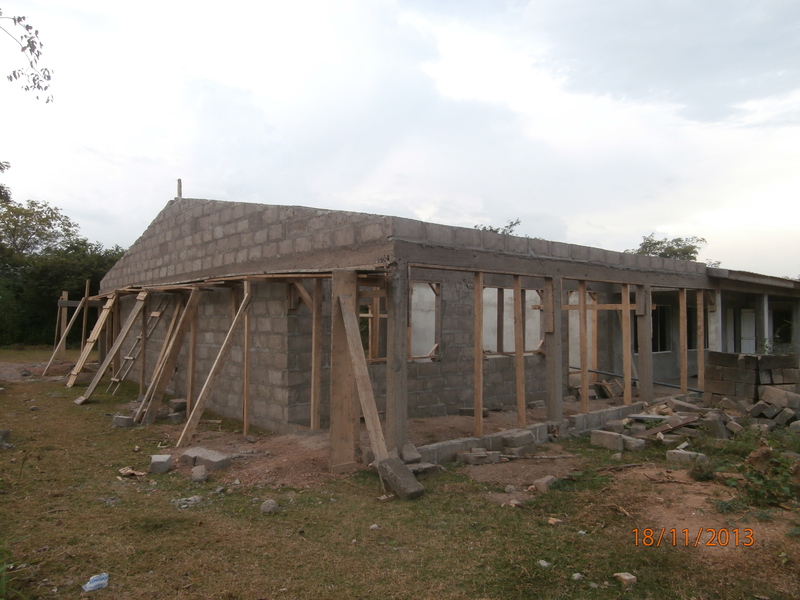 The pictures show that roof, floor and window and door frames are still to be completed. The pupils are contributing much to the building project: they cleared the land and did some of the labouring work. The teachers are energetic and well-motivated and inspire a serious, focused attitude in their students. I took a portrait on canvas of Pamela Lewis, which is now framed and hangs in the school office. I feel that students in the school are getting exceptional opportunities for developing their curiosity and understanding of the outside world and their position in it. 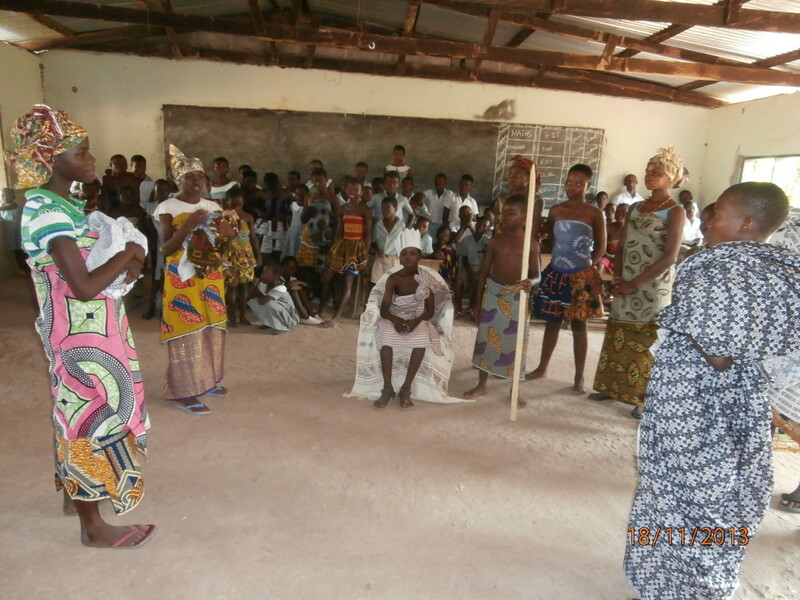 I really enjoyed the dance, recitation and acting display they put on for me. I left gifts of library story books, 2 footballs, pens and pencils, a small cash gift for the teachers and a little money for the new classroom. UPDATE MARCH 2016 Thanks to the generosity of a single GSA supporter, we were able to send enough money to buy 34 desks for the Junior High School (see pictures below), 15 stools for the kindergarten and renew window screens both in the school office and at the school hostel. 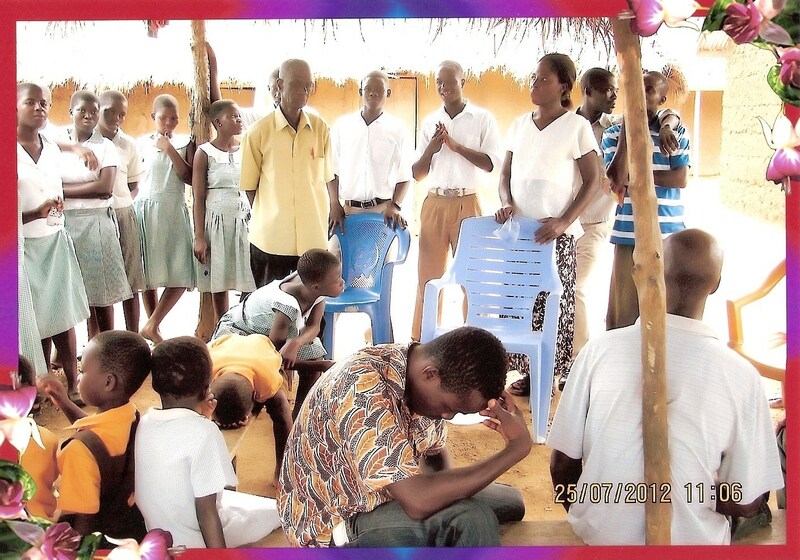 In July 2015, Patience wrote, “Our hearts are filled with joy to say a Big Thank You to GSA and our dear sponsor.” In February 2016, GSA agreed that money raised at the funeral of Pamela Lewis’s brother, Graham, should be sent to Cambridge-Bethel so that Patience can finish off plastering a wall of the Pamela Lewis classroom and getting a portrait of Pamela painted on to it. Our grateful thanks to the Lewis family who made this possible. 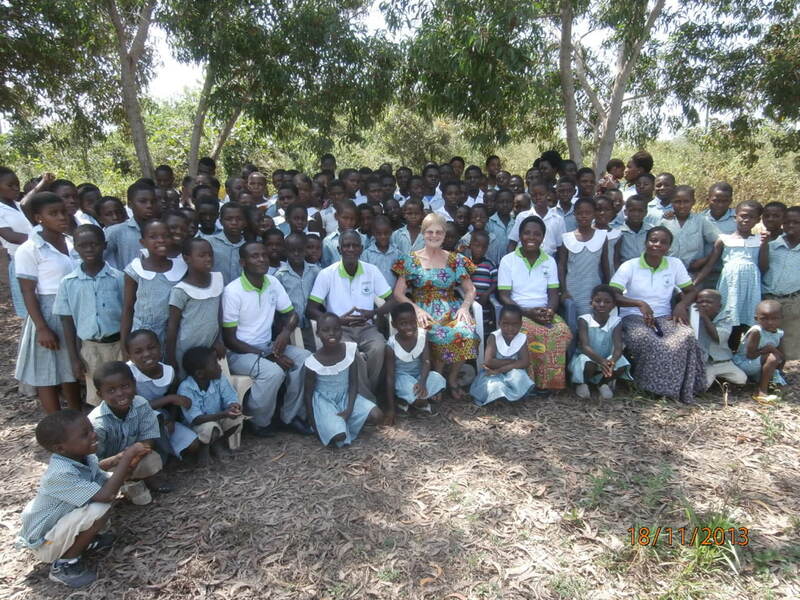 UPDATE February 2017 With the support of GSA who made it their 30th Anniversary Appeal, Penny launched an appeal to supporters of the J.Bedu Memorial Fund to raise £5000 to help both the Cambridge-Bethel School and the J.Bedu LA Primary School. Cambridge-Bethel now has a 4-cubicle KVIP toilet block situated near its Junior High classrooms. The project was completed quickly and within budget, so thank you so much to all financial supporters, builders, supervisor Grace and pupils for their generosity and hard work. The KVIPs will make a huge difference to the pupils. This entry was posted in Projects and tagged cambridge-bethel-primary-school by Penny Sewell. Bookmark the permalink.